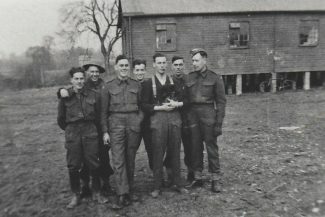 The photograph here shows Fox Troop, 11th Battery 2nd Heavy Anti-Aircraft Regiment, Royal Canadian Artillery January 1942, Hadleigh Camp. Also a British Legion blazer badge, Canadian Branch. 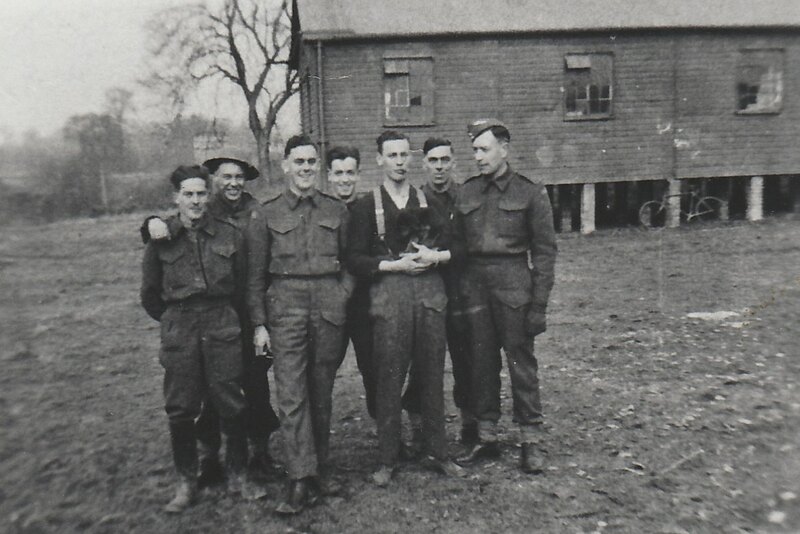 Can anyone confirm the location of the barracks or any other information on this Canadian Regiment at Hadleigh? I don’t remember how many huts there were other than at least one. They were situated at the end of the S A Rd that housed the old barns and offices etc and beyond the original Farm House. I remember going into one when I was about 11/14 which would have been in 1958-61. The one I went in still had bed frames in there. Thinking about it today would they have been on S A land simply because we were at war. My mum told me that during WW11, Canadian Troops were billeted in Tattersall Gardens. 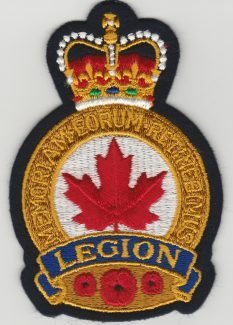 Perhaps this might help give substance to your comment, Alec. If they were at Hadleigh AA Battery, that was located here: https://tinyurl.com/y9hs6ffp though there is not a lot left visible.